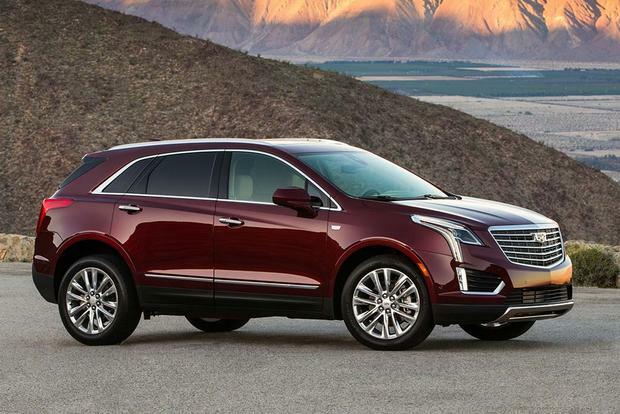 The distinctive 2019 Cadillac XT5 offers style and plenty of infotainment tech, but seems a bit overpriced for what you get relative rivals. 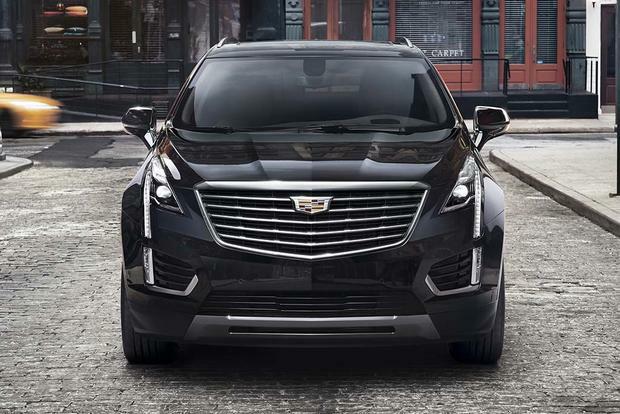 The 2018 Cadillac XT5 offers distinctive style for a luxury crossover and is a solid middle-of-the-pack choice in most regards. Did we wait 10 years for a reworked Acadia? 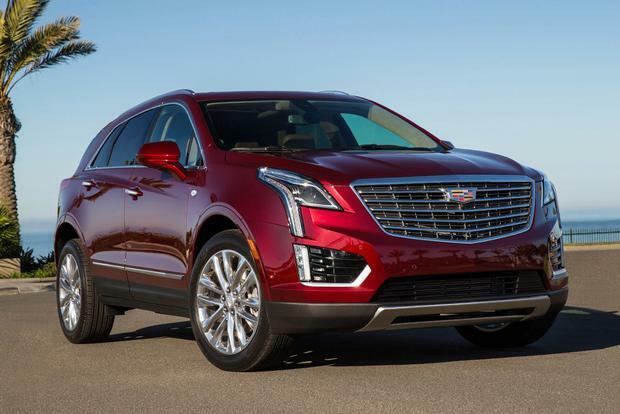 2017 Cadillac XT5 vs. 2016 Cadillac SRX: What's the Difference? 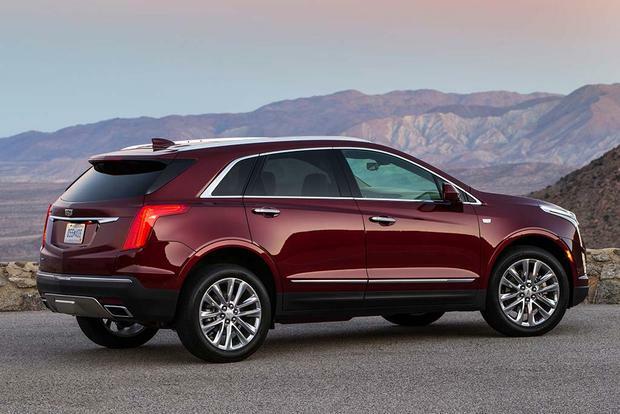 The 2017 Cadillac XT5 replaces the 2016 Cadillac SRX. What's new, what's the difference, and which might be better for you? 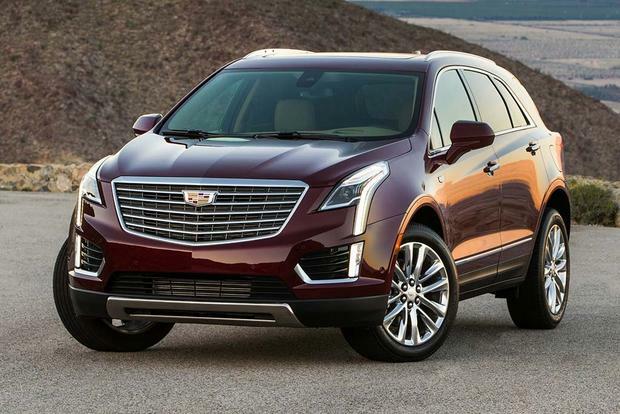 The 2017 Cadillac XT5 is a fresh face on the crossover scene. 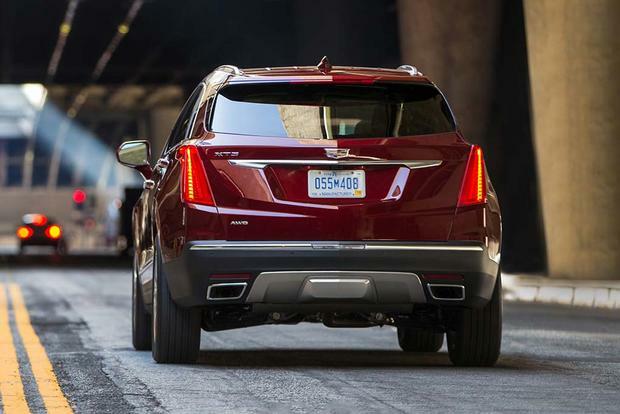 We have five reasons the luxurious XT5 has all you can ask for and then some. It's impossible to write about Cadillac right now without mentioning the lineup's mishmash of names. Brian Moody covered it in his "2017 Cadillac XT5: First Look," so we won't belabor the point here. The confused nomenclature is an indicator of a brand in transition, and the new XT5 may be carrying the torch to lead the brand. Cadillac's new advertising tag line for the XT5, "Dare Greatly," is hardly common usage in the United States. It feels like a Mid-Atlantic phrase with one foot in Europe and the other here. Don't expect "Dare Greatly" to be the "Got Milk" of 2016; expect a new tag line soon. The XT5 (which we are told stands for "Crossover Touring" in the middle of the lineup) is an all-new replacement for the midsize SRX crossover vehicle, which had been hanging around since 2004. Interestingly, the outgoing second-generation SRX (2010-2016) shared GM's global Epsilon II platform with the now long-defunct Saab 9-5. 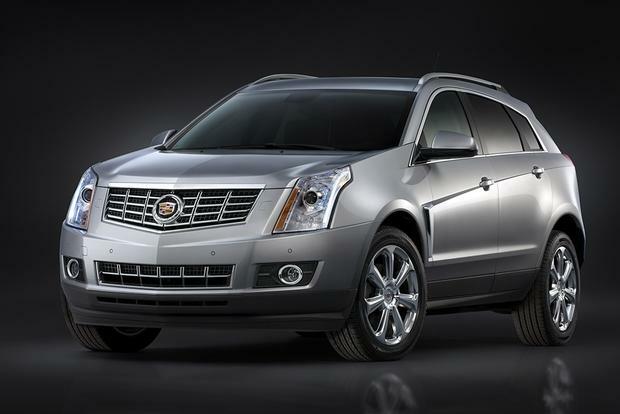 The SRX was Cadillac's top seller by far in 2015, with almost 100,000 units sold worldwide (the ATS was second with 63,049). 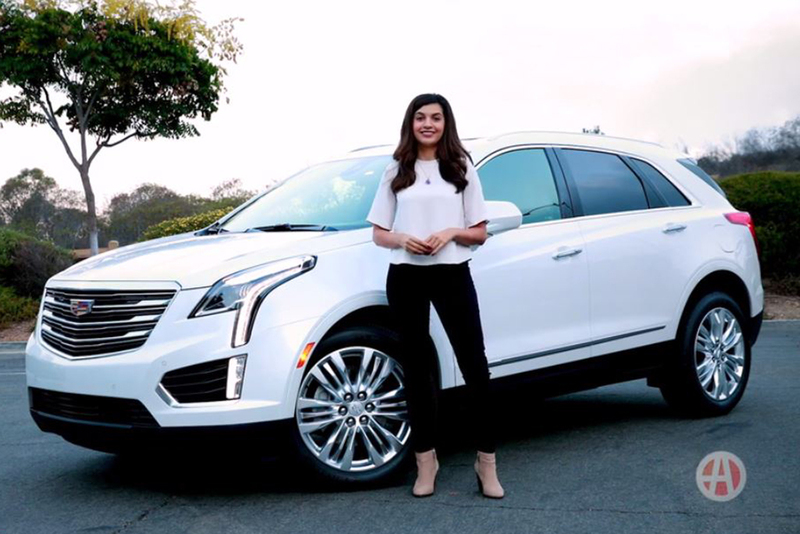 But car companies can never leave well enough alone, so we're presented with the XT5 -- a new name, a new vehicle and, along with the CT6, a new wave of Cadillac product. All that talk about nomenclature, tag lines and Saab aside, the good news for Cadillac (and for anyone who's shopping for a midsize premium crossover vehicle) is that the XT5 is a very good effort. 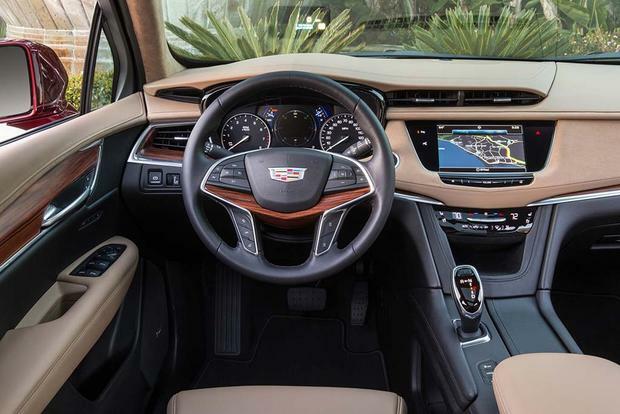 Inside the XT5 is where the distinction takes hold. Cadillac's designers talk about the XT5's material "authenticity," a current buzzword that actually has some meaning. The trim pieces that look like carbon fiber are actually carbon fiber, the wood trim that looks like wood is real wood, and the aluminum and metal pieces are genuine, too. Even if the eye can be tricked by faux materials, the hand cannot be deceived. When you touch the dash, the cool metal contrasts with the warm wood and leather. The components are put together with attention to detail and visually identifiable craftsmanship. Leather wraps are made in the cut-and-sewn style, rather than with molded-over surfaces. Metal trim is carefully edged to meet other surfaces in a tight seam. 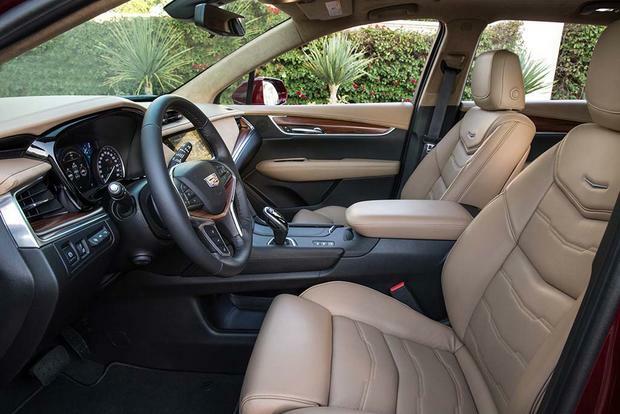 The combination of authentic materials and craftsmanship is the hallmark of premium quality, and that quality is evident throughout the XT5's cabin. The XT5's dash is arrayed horizontally to emphasize the cabin's width, with lines continuing onto the doors. A color touchscreen display is embedded in the middle of the dash, slightly recessed. It operates on a new generation of Cadillac's CUE system, integrating climate, infotainment and navigation options. It also includes Apple CarPlay and Android Auto for smartphone integration. Unfortunately, both Apple CarPlay and Android Auto require a USB connection to operate. Plenty of high-tech options are available to enhance the XT5's operation, including a color head-up display and rear camera mirror. Safety features include adaptive cruise control, a blind spot monitoring system, lane-departure warning and mitigation, and pedestrian collision mitigation. Passenger accommodations are good in the second row, with more legroom than in the outgoing SRX. Second-row seats recline a few degrees and can slide fore and aft to maximize cargo space when needed. Thirty cu ft. of luggage can fit behind the second row, and folding the second row flat opens up 63 cu ft. of cargo room. The XT5 can tow up to 3,500 pounds, which is just enough to tow an Airstream Sport (the only trailer you'd want to see behind a luxury crossover). 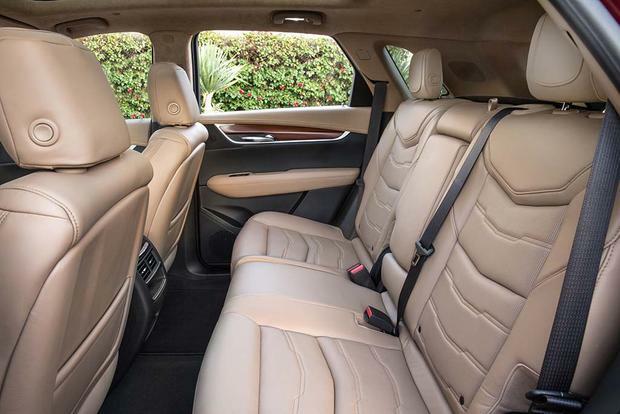 Driving the XT5 is a very pleasant experience, beyond the luxurious cabin and technology extras. In the U.S., we'll get a naturally aspirated (nonturbo) 3.6-liter V6 with variable valve timing and direct gasoline injection (310 horsepower/271 lb-ft of torque). Front-wheel drive is standard; all-wheel drive is available. An 8-speed automatic transmission is also standard. A 4-wheel independent suspension (MacPherson strut front/5-link rear) with selectable drive modes delivers a controlled ride. Sport mode is stiffer than you'd expect from Cadillac, while Touring mode smooths out the road and mutes road feel just enough for a highway cruise. The Environmental Protection Agency estimates fuel economy for the 3,985-4,257-lb crossover at 19 miles per gallon in the city and 27 mpg on the highway (4-wheel drive) or 18 mpg city/26 mpg hwy (all-wheel drive). Pricing starts at $38,995 for base models and goes up to $62,500 for the Platinum. 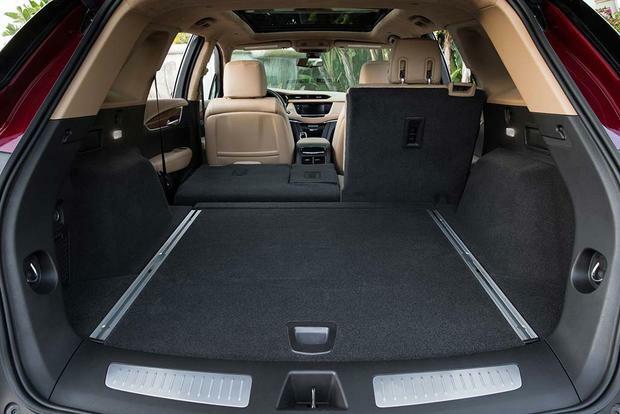 Where Does the XT5 Fit? Cadillac has some stiff competition in the midsize-luxury-crossover field: The Lexus RX had a recent makeover and is a top seller, while Audi's Q5, Mercedes-Benz's GLE-Class, Acura's RDX, Lincoln's MKX and Volvo's XC60 are all worth a drive, each taking a unique approach to the genre.